Two years ago, when December 31st hit, I was devastated when I went through my binder and realized just how many great coupons expired all at once. 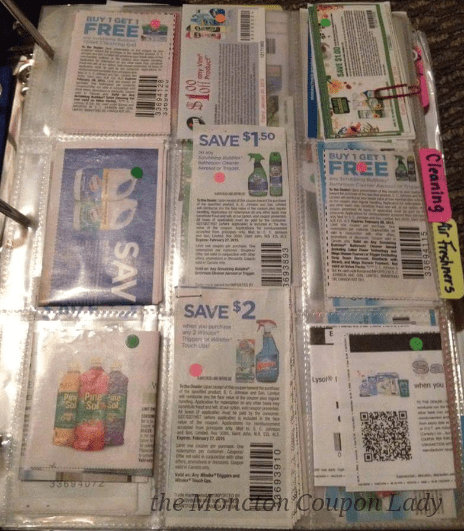 I thought to myself, there has got to be a better way to keep track of expiration dates at a glace while still maintaining the same binder organization system that I am using. 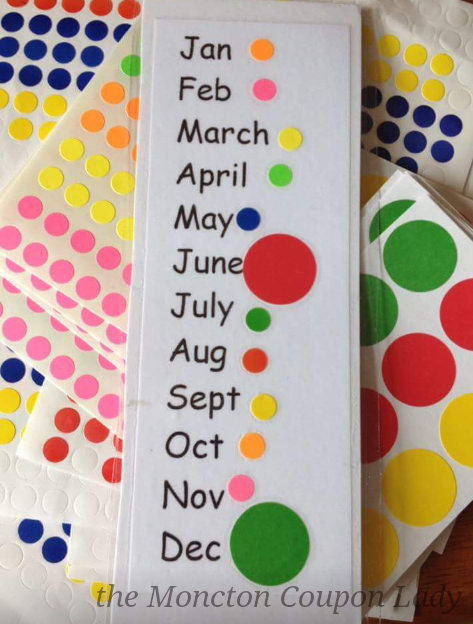 This is what I came up with; when I get my coupons, before I file them in my binder, instead of highlighting or circling the expiry date, I apply a small colour coded label dot which represents the month it expires. 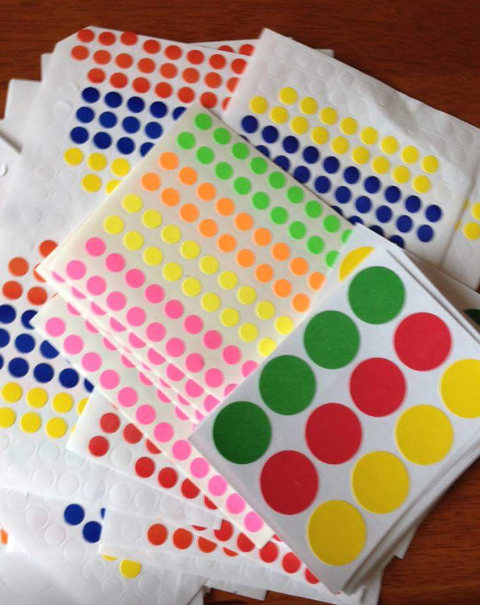 I only put it on 1 of each coupon - then file and use from behind leaving the one with the dot in place whenever possible. I have a legend to show which colour is which month. Every month I go through, remove that colour that has expired. I then move ones expiring soon to the front page of that section (food, body, cleaning etc) that way I am constantly reminded that I am looking for a sale on that item. For me this system works great, it adds a step initially but in the long run it helps prevent coupons from going to waste. Anything I won't use in time goes in a pile for a swap. It adds one extra step but saves the disappointment of expired coupons.